Making an investment is a challenging time that can take up a lot of your time and energy. The team from Aussie Business Sales makes the process of buying a business a breeze for you by guiding you through both the buying and selling process with extensive expertise in the business brokerage market. This is an investment opportunity for many entrepreneurs looking for a simple option that can return a profit. We know the industry well and make life easier for both buyers and sellers by taking on the tedious tasks when buying or selling a business with clear communication at all times. 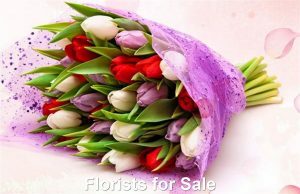 If you are looking to buy or want to list your Florists for Sale in Melbourne or Country Victoria get in touch with our friendly team to discuss your situation and schedule a free consultation. Reach us on mobile: 0418 515 434 or email: ian@aussiebusinesssales.com or send us a message through our enquiry form to receive a prompt reply.